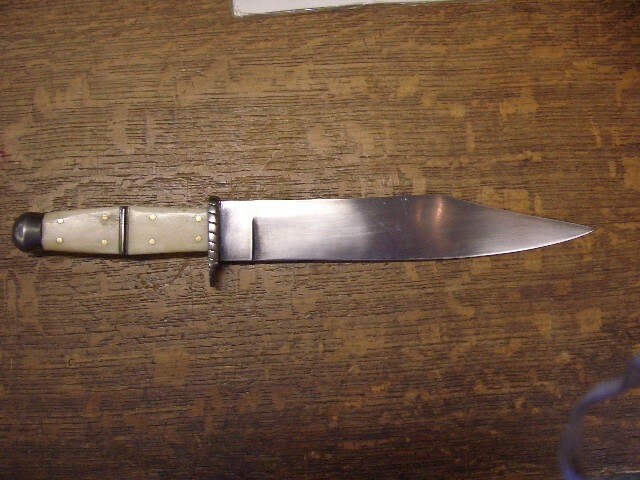 Here is a beautiful 19th Century Bone and brass studded Bowie Knife. More pictures by request. Here is a beautiful 19th Century Bone and brass studded Bowie Knife. More pictures by request. 15" inche Blade Please email cowboyron@cowboycabin.com with questions or call 406 270-2842.